When we stayed at Hotel Jen Tanglin Road, I mentioned to a friend that a UNESCO World Heritage Site is in the neighborhood. A laugh was an instant answer I got with a sarcastic question, “Is that true?” She actually didn’t believe that Singapore has a heritage site, and it’s the only one they have. 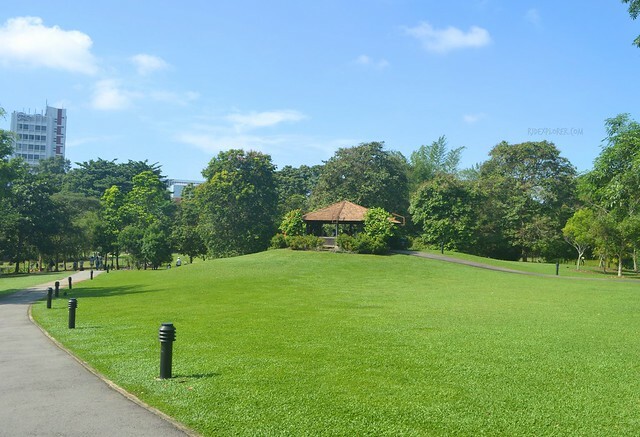 Truth is, Singapore Botanic Gardens is recently listed under the famous award’s world heritage list. 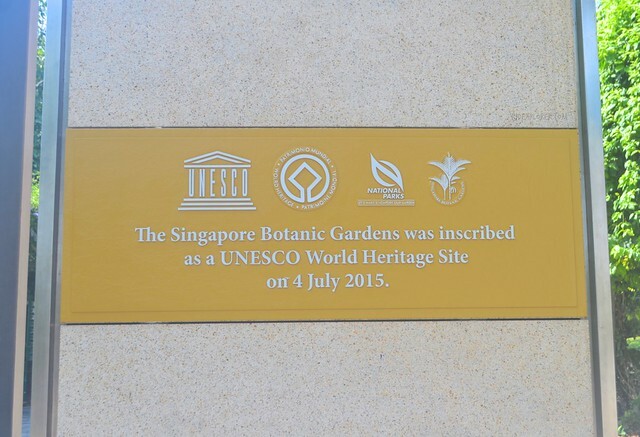 A year before my first trip to Singapore, Singapore Botanic Gardens was inscribed on the heritage list. Additional research said that it’s the first tropical botanic gardens included on the list after the bid process that started in 2010. It wasn’t part of my original itinerary but online readings and social media brought me to the gardens one morning. The garden has a land area of 74 hectares and can be accessed through seven gates. No matter how enthusiastic I am to explore the entirety of the botanical gardens, I only covered few sections of the park. Areas on the half of the gardens accessible from the Botanic Gardens MRT were the only sections I’ve covered. I spent the entire morning appreciating the varieties of plants and trees on the lush surrounding. 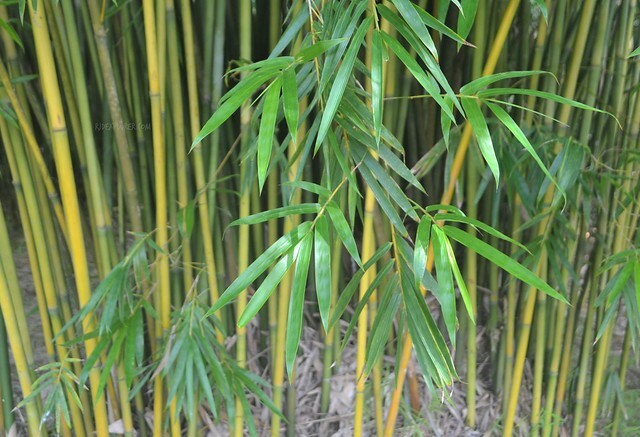 Some of the attractions I’ve explored were the Trellis Garden, Eco Lake, Bougainvillea and Bamboo Collections, Foliage Garden, Herbs and Spices, Fruit Trees Collection up to Healing and Fragrant Gardens. 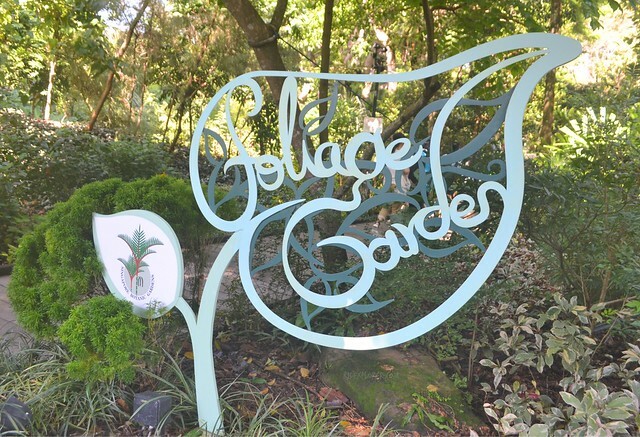 If you encounter some garden maps, take a look at the historical landmarks, National Orchid’s Garden landmarks, and the botanic gardens. 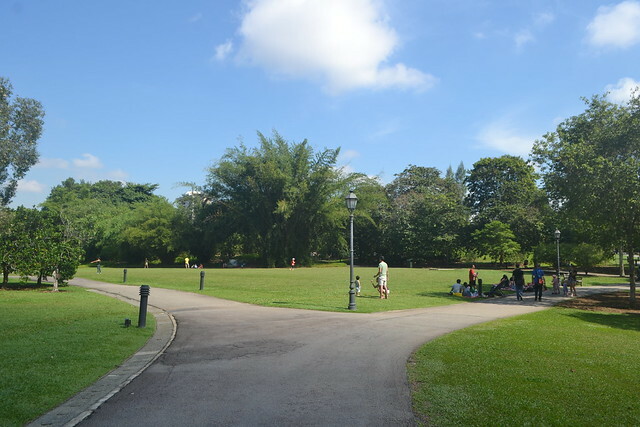 Finding places to eat within Singapore Botanic Gardens is not a challenge with few café and restaurants. If you’re looking for other attractions to add on your Singapore itinerary apart from the usual Sentosa Island, Universal Studios Singapore, Singapore Zoo, Marina Bay, and Jurong Bird Park, Singapore Botanic Gardens is a great place for leisure walks while in the city. Every Saturday, selected tours are offered to visitors for free. Here are the schedules Healing Garden (9AM, 10AM) and Rain Forest Tour (10AM) on the first Saturday, Rain Forest Tours (9AM, 10AM, 11AM, 4PM) on the second Saturday, National Orchid Garden (9AM, 10AM, 11AM, 4PM) on the third Saturday, and Heritage Tour (9AM) and Race Against Time (10AM) every fourth Saturday. If you’re planning to avail the free guided tours, please be at the visitor center near Nassim Gate 15 minutes before the tour commences. Singapore Botanic Gardens Operating Hours: 5 AM to 12 midnight, daily. Visitor Services Counter. Open daily from 8 AM to 5:30 PM. National Orchid Garden. Open daily from 8:30 AM to 7 PM. Last ticket sales and admission at 6 PM. Free for children aged 12 and below. SBG Heritage Museum. Open daily from 8 AM to 6 PM. Closed on every last Monday of the month. CDL Green Gallery. Open daily from 8 AM to 6 PM. Closed on every last Tuesday of the month. Foliage Garden. Open daily from 5 AM to 12 midnight. Closed on every last Wednesday of the month. Healing Garden. Open daily from 5 AM to 7:30 PM. Closed on every Tuesdays. The gardens, located in Central Singapore, has four major entry points. 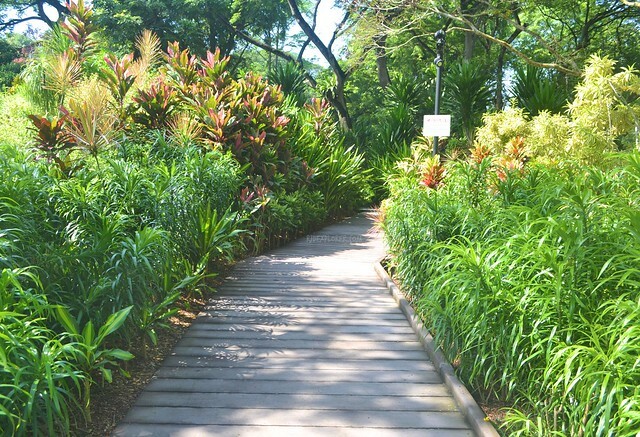 The easiest way to access the gardens is by the Singapore MRT. At any point in the city, take a train to Botanic Gardens Station, a stop on the Circle Line and Downtown Line. 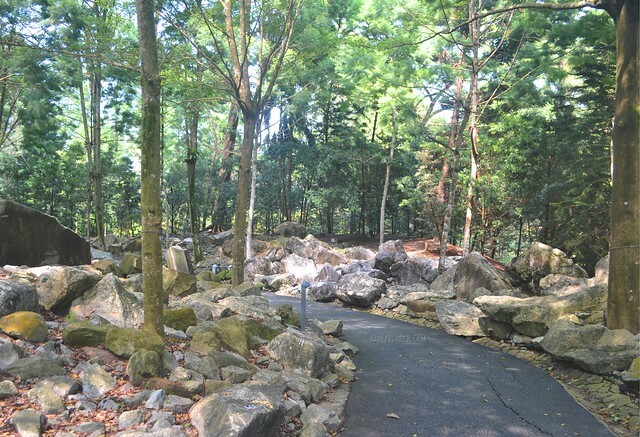 If you’re in Orchard Road and still has the energy to navigate the city, you can visit the natural landscape on foot.